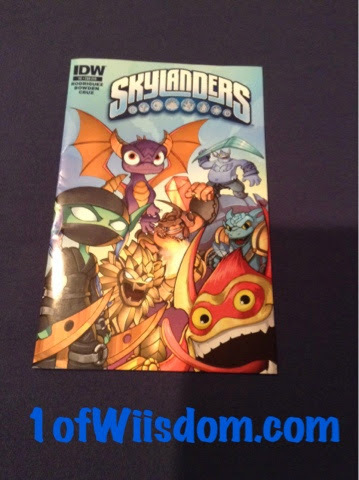 At San Diego Comic Con, Activision and IDW publicly revealed the upcoming Skylanders Comic Book Series! 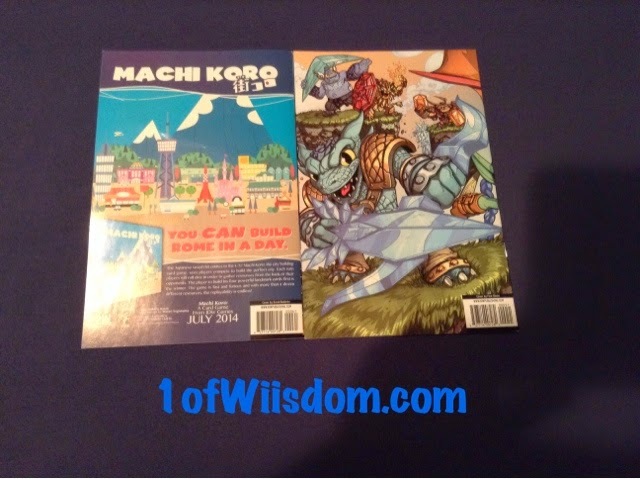 They were on hand with limited numbers of both a "standard cover Issue #0" and a special "Convention Cover Issue #0." I attempted to make my way out to San Diego to check out Comic Con (mainly to see the new Skylander reveals and get a feel for the event first hand), but was soon met with the harsh reality of how fast (and early) the thing completely sells out. Luckily, Rob from Coin-Op stepped up to the plate and was able to snag an extra issue for me! Big thanks to Rob on that end! Similarly, I was fortunate enough to not only have obtained the special Convention Cover, but a signed copy at that! So basically I went from bummed about missing the trip and seeing the new Skylanders in person to getting both covers! I've read the comic and really enjoyed it. The artwork plays in well with the story line, which is very well done and more important (at least in my opinion) than artwork. 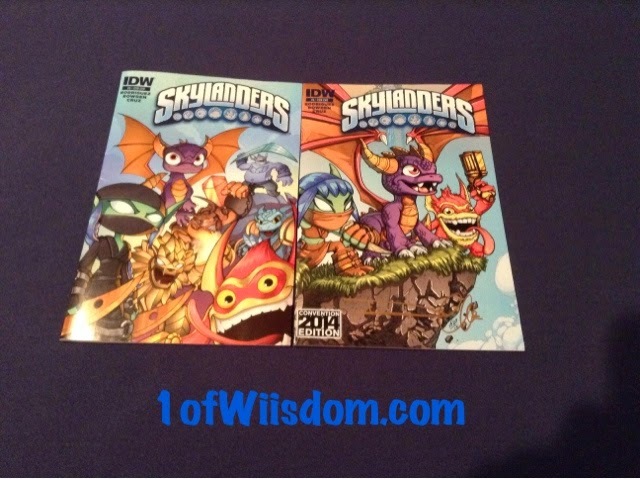 The guys behind the comic are not just hired guns who can draw, they are established veterans of the series...This initial "prequel" issue features several members of the Vicarious Visions staff and we get a continued feel for the individual Skylanders' personalities. The dry humor and puns are just as apparent here as they are in the game and it ultimately ties the two entities together very well. The true test of a story line is if it captures you while you read and if you want to continue reading when it ends (see also Issue #1 etc.,). That is definitely the case on my end and I feel that if I enjoyed it at that level, those of you who follow along on my YouTube Channel and this website will no doubt have similar reactions. 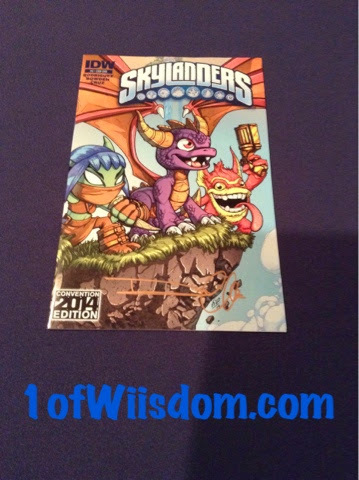 In addition to the artwork, story line, and tie-ins to the video game, this opens up another avenue to enjoy your Skylanders and that is never a bad thing! For those of you parents out there who are wanting to get your kids to "read a bit more," this is your ticket. I never understood why some folks make such an emphasis on their kids not wanting to read when the offerings are on subject matters or fictional tales they have no interest in...People, including kids, will eat up information and entertainment when it is regarding a subject matter they are interested in...Take advantage of that. Something I really liked seeing was the Character Bio after the story. While this is the same info you can find on the Skylanders Website and Strategy Guide etc, it was cool to have it in front of me, in full color, printed form. The Micro Comic Fun Packs will be sold alongside the Trap Team toys. 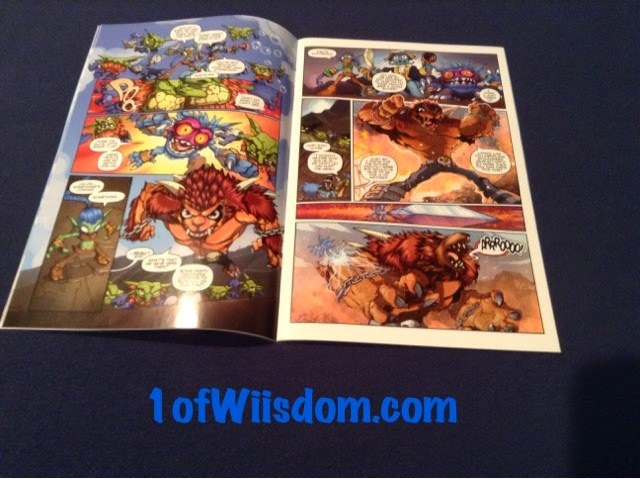 So what do you think of the new Skylanders Comic Book and Micro Comic Fun Packs? Are you an avid comic book collector who will scoop them up, a Skylander fan who will give it a go, or are you not interested? I enjoy the series so much I will probably pick them all up. It is always best to get started at the beginning and pay retail, than put it off, get hooked later, and then regret not having a full set, or pristine condition comics! I had mentioned these awhile back and here recently was finally able to locate some locally! 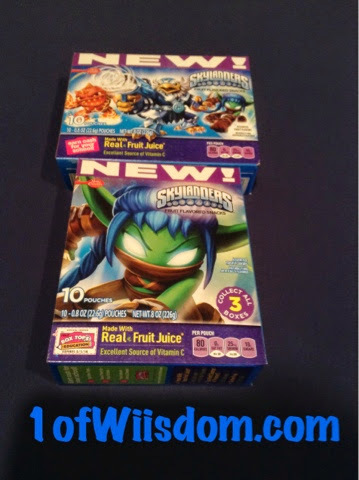 Betty Crocker is capitalizing on the popularity of the Skylanders franchise with some tasty fruit snacks! But, where would we be if they were all in the same box like 99% of all other consumables? 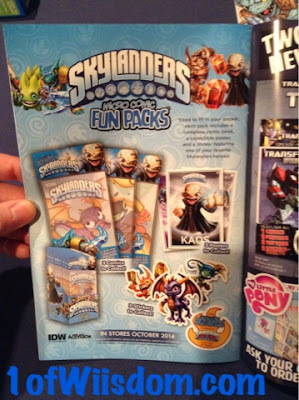 This is Skylanders after all...surely there is something to collect, right?! Betty Crocker has launched THREE special boxes to encourage you to expand your collection, or just stock up on fruit snacks. The crazy thing is, people are buying and scalping these just like they do the newest Skylanders! When I made this video a few nights ago boxes were going online for $15+ each! When I made the first video (more on that later), boxes were listed on Amazon at $40+ EACH. That is nuts and as always I have to tell you DO NOT BUY $40 FRUIT SNACKS! Just be patient and check your local stores, speak to managers, or contact Betty Crocker. They are cool, they taste good, but they have a street value of about $2. 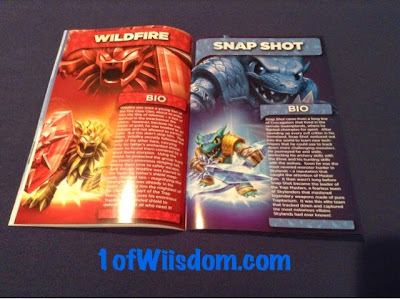 The individual packages feature patterned artwork that seems to only consist of Gill Grunt, Eruptor, and Kaos. The gummies themselves are pretty detailed, although some have melted/smeared with the process or transportation etc. Regardless, they will all taste the same. I made the first video right after finding them with my Nephew. Sadly, things went horribly wrong when I did a taste test. Long story short, these gummies were not what I was expecting and certainly not of the texture/chewing nature of the Mario gummies I regularly get from Kellogg's. However, after having a few packs they really grew on me...In fact, it is safe to say I am a fan and will continue to buy them regularly (provided I can find them at local stores). I don't think I will keep the boxes, but I can make good use of the Box Tops for Education! 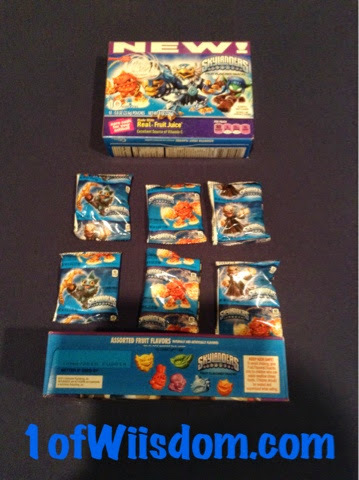 If you haven't seen the Skylanders Fruit Snacks keep looking! Your local store should land them soon...At under $2 a box you have to at least give them a chance. So go ahead Portal Masters, grab some fruit snacks, fire up your favorite Skylanders game, and take a bite out of evil..who knew Kaos would taste so good?! Mario Kart 8 DLC: Link, ACNL, New Courses, and New Karts! I can not begin to explain to you how happy I am and how cheesy my giant smile must look. I am sitting at work and just saw the news of the new DLC for Mario Kart 8! 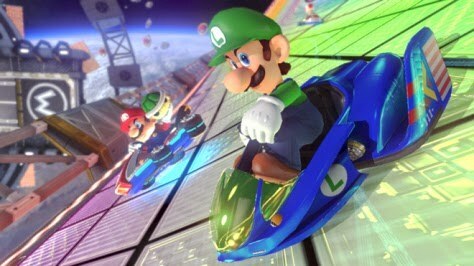 While the new characters and karts are cool and somewhat expected, what I am the most excited abotu is the NEW TRACKS! This is HUGE and adds even more replay value and fun to an already stellar game on the Nintendo Wii U! I also realize I didn't showcase the new "Mercedes" Free DLC at the end...I will do so in an upcoming recording. Stay tuned! Fire Kraken's primary attack, Sparking Strikes is actually pretty good. I was afraid it was so good it would be one of those times all the ugprades are a disappointment...I was wrong. Glow Stick offered a nice increase, but where the big pay came is with Rising Fountain. This is roughly a 2 Second charge to deliver 85-128 Damage! Take "The Showcase" Path and you get it further enhanced both with additional damage and aesthetics. The Showcase Path is hands down my recommendation up top. It isn't exactly great, but it looks cool, adds a powerful 50-75 via projectile after you execute Rising Fountain and the firwork ring after the fact is just neat looking...the 12 damage is negligible imo. The Magnificent Dragon Parade is what everyone raves about...It is literally I ever heard about Fire Kraken. I am not a fan and I don't think that will change. The initial run time was a joke, so I figured the upgrade path would extend it like crazy and amp up the damage. It lasts all of 5 seconds for me. That isn't much of a parade. I did realize the Armor jumped +25 which would be a saving grace, but my Jade Fire Kraken that has "The Showcase" also has the +25 so I am not sure what the deal is. I might appreciate this one slightly more after using it in game, but I will still prefer The Showcase. Fire Kraken's bottom end is more flash to me, but it is pretty unique and colorful, which I will count as pros in this case. The damage on the 3rd Hit is very respectable and coupled with Show-Off you get a pretty solid set-up, it is just slow and cumbersome to execute. Speaking of slow to execute, The Big One needs about 12 seconds to charge! That is nuts! However, it is cool, unique, and delivers a crazy 120-180 Damage! That makes up for the 12 seconds, especially when you consider that you can Primary, Secondary, and I assume Tertiary (although I didn't try it...see, not a fan of Dragon Parade) while the count goes down. Stunning Sparker allots a temporary (see 12 seconds) speed boost while The Big One lingers...I love speed and this does help you control the setup nicely. Sizzling Sparkler is, in my opinion, negligible. Booming Bouncer is one I had high (ha, punny) hopes for...sadly, they were dashed. I assumed Bigbadaboom would address the super useful Kraken Up that deals 25-38 when simply jumping. Sadly, it was tied in with the secondary attack instead and while it is cool, doesn't do much for me damage wise. Strike the Foes will clear the area out and do decent damage, but any repeated use of it will restart the already long 12 second timer. The top end Soul Gem, Dance of Dragons is pretty lackluster, mainly due to Rising Fountain. I would never release Attack 3 to do it as you will automatically engage it after the 5 second run time. The bottom end Soul Gem, The Bigger One ups the damage to an amazing 150-225 and adds some more color and a bigger radius...it totally makes up for the top end SG. My preferred combo would be The Showcase and Stunning Sparker. For veterans I would suggest The Showcase and Stunning Sparker. For rookies I would suggest The Showcase and Stunning Sparker. As you can see, this is one of those cases where my opinion is of the variety that two paths are really better than their counterparts. The bottom end is really a catch 22. If you want Speed go with Stunning Sparker, if you want the clearout, go with Booming Bouncer. Fire Kraken is one of those characters that has base upgrades that really outshine the Upgrade Paths. That isn't necessarily a bad thing, it just kind of dampens the appeal of the paths since most tie in a perceived increase of epicness. While it may sound like I am being harsh, I really like Rising Fountain and Sparking Strikes is enhanced very well by the base attacks and The Showcase Path. It is, in my opinion, his clear strength. Similarly, on the bottom end, The Big One (and subsequent Soul Gem The Bigger One) totally outshines either path. In all honesty, I like the base upgrade Kraken Up better than either path combined. All-in-all Fire Kraken to me is a heavy primary hitter. The way he is structured I would set up "The Big One" and go to town with the staff until it launches. He should be quite formidable in this fashion. Magnificent Parade just does nothing for me personally. I will give it every chance to win me over, but I can't see it happening. That said, this guy is very colorful, unique, and will be quite powerful with the play style I described above! I will work towards trying to figure out if there is a glitch on my end and the parade should last longer and how Jade, not down the Parade Path, got the same Armor increase by checking in on my other JFK. I am on the road right now and typing from my phone, but this is BIG!! 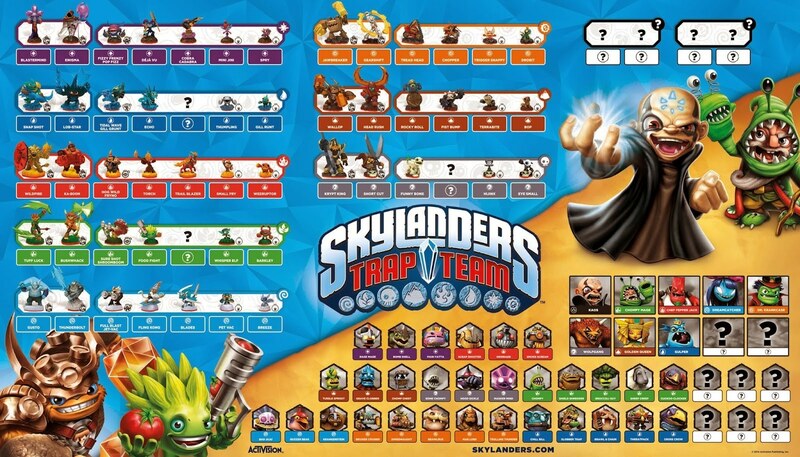 Skylanders has released a high resolution photo of the complete character roster for Skylanders Trap Team!! We are getting out first look at some of the new characters and villains and still have a few things unknown. Check it out and let me know who you are impressed with! 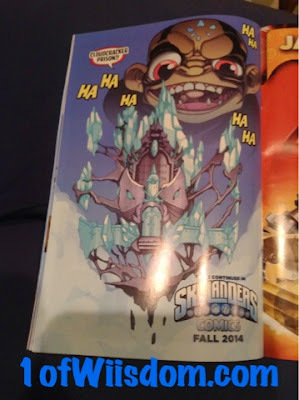 Thanks to Gamescom we are getting a look at several new characters in Skylanders Trap Team. Somewhere in the middle we have Series 4 Gill Grunt. Skylander Minis have officially been unveiled! "Sixteen of the smallest but surprisingly powerful Skylanders are now joining the fight against Skylands’ most nefarious villains. Diminutive in stature but mighty in battle, Skylanders Minis will deliver a full Skylanders wallop as completely playable characters with upgrades and abilities, just like any other Skylanders, including the ability to trap villains." If you are thinking, "Wait, you mean Sidekicks, right?" you would be partially right. These are the same size and shape as your tried-and-true Sidekicks, but they are Minis! If it helps, think of them as "Mini Skylanders." If you are trying to process it, think of the Sidekick, but factor in a lot of training. What sets the "Minis" apart is their ability to use attacks just like their full-sized counterparts! "The Skylander Mini’s started off as regular "Sidekicks," assisting the Skylanders on many exciting adventures. And what they lacked in size they more than made up for in courage. Ultimately determined to become full-fledged heroes, they trained at the Skylands Academy - honing their powers and skills until they were ready. Now, they stand side by side with their full grown counterparts, ready to defend Skylands against Kaos and his evil minions." Skylanders® is redefining the Toys-to-LifeTM phenomenon with yet another ground-breaking innovation, Skylanders Trap TeamTM. With Skylanders Trap Team, players can take characters out of the game and place them into physical “Traps” that kids can take with them, effectively bringing Life to Toys. 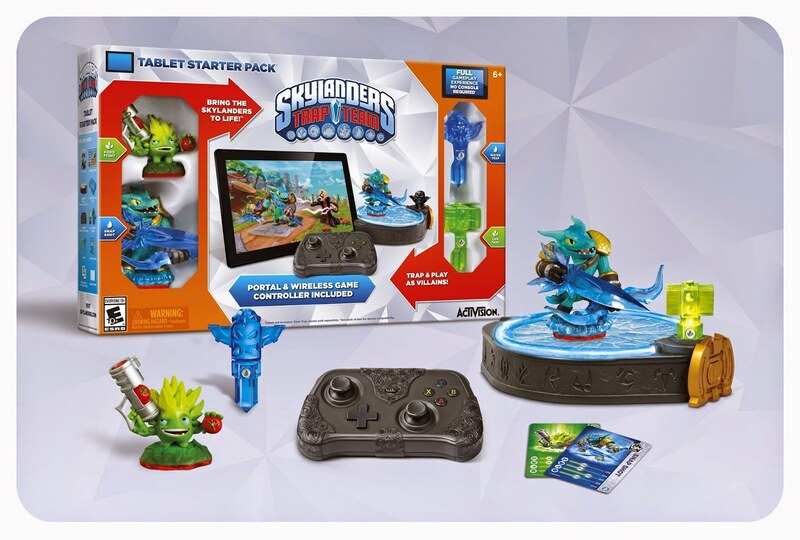 Now, for the first time in franchise history, Activision Publishing, Inc. is bringing the full AAA console experience of a Skylanders game to iPad®, Kindle Fire and Android tablets with the Skylanders Trap Team Tablet Starter Pack. Launching day-and-date with the console version, the Skylanders Trap Team Tablet Starter Pack will include a Bluetooth© Traptanium PortalTM, a new ring of magical energy which reverses the magic of the Toys-to-Life category by letting players bring digital characters into the physical world. The new portal gives players the freedom to dock their tablet, providing a hands-free gaming experience. The Skylanders Trap Team Tablet Starter Pack will also include a Bluetooth® controller for the best possible play experience; a built-in tablet stand; two Skylanders characters; two Traps; and a display tray that lets Portal Masters keep track of the Traps they’ve collected and which villains they have trapped. 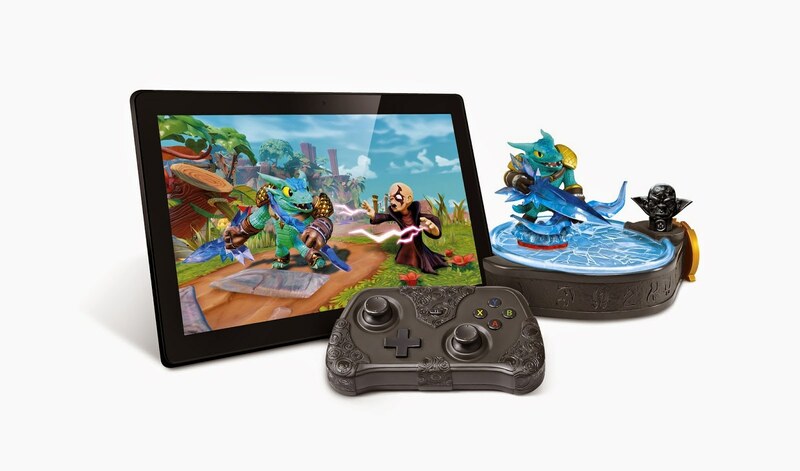 Complete Toys-to-Life, Life to Toys Tablet Experience – The Skylanders Trap Team Tablet Starter Pack gives fans everything they need for a rich gameplay experience wherever and whenever they want to play. Tablet players will experience the Skylanders Trap Team innovation through a Bluetooth Traptanium Portal and Bluetooth controller. They can also play the full game on their tablets using touch controls and two digital Skylanders characters and two digital Traps. “Controller” – Fans can play the game just like the console version using the Bluetooth Traptanium Portal and toys with the custom Bluetooth Skylanders game controller included in the Starter Pack.